Netflix has announced that Piper Perabo (Covert Affairs, Looper) and JJ Feild (Turn, The Romanoffs), as well as newcomer Frankie Hervey, have been cast in the upcoming original comedy series Turn Up Charlie, which went into production earlier this month in London. They join the previously announced Idris Elba, who co-created and executive-produces the series in which he will also star. Turn Up Charlie centers on Charlie (Elba), a struggling DJ and eternal bachelor who is given a final chance at success when he reluctantly becomes a manny to his famous best friend's problem-child daughter. 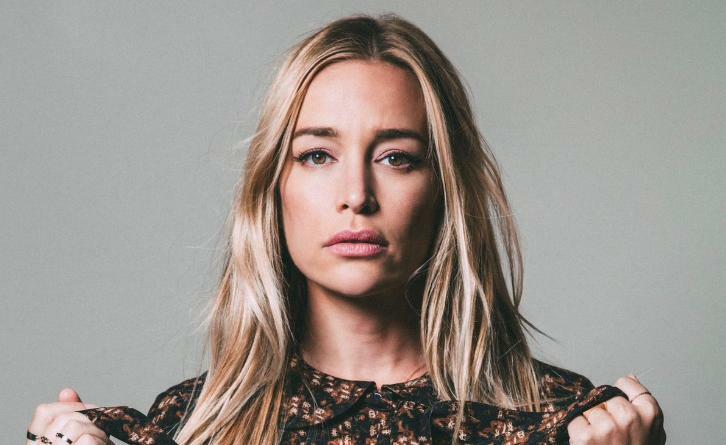 SARA (PIPER PERABO): Sara is a superstar DJ, feminist icon and vivacious trendsetter, who has chosen to abandon the chaotic and exciting life she lived in America, to put roots down in London in an attempt to give her badly behaved daughter more stability and normality. DAVID (JJ FEILD): Charming and charismatic, Hollywood actor David is adored by both fans and friends. A North London boy done good, David is ambitious and hardworking, but his return to his hometown brings new opportunities and uncertainties in equal measure. GABRIELLE (FRANKIE HERVEY): Spoiled and savvy, Gabrielle is wise beyond her years. Neglected by her career-driven parents, Gabrielle pushes the boundaries – and the sanity of her nannies - to the extreme, in order to get her mum and dad's attention. Her spiky retorts, mischievous adventures, and epic tantrums hide a lonely young girl with a distorted view of reality.